We are off to a great start in 2008. We have been busy photographing some amazing sessions along with doing some traveling/teaching. In the last 3 weeks I have been to Florida, Arizona, and Las Vegas, NV. First I spoke at the Imaging USA National Photography Convention. The convention itself had almost 9,000 attendees. 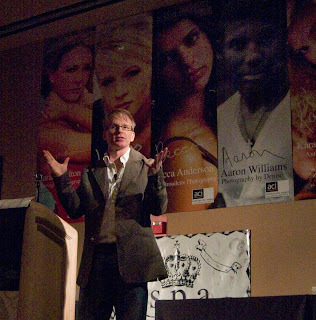 Then, I was a platform speaker in Tucson, AZ at the Senior Portrait Artists Convention (not senior citizens, high school senior photographers) and then to Vegas giving a short program at a Photography Bootcamp. My programs focused on how to be more innovative and creative in your photography and business. Here are a few images from my travels in AZ. Hi Rod, Thank you for sharing your knowledge and experience at the CTPPA convention. Your images, stories and business ethics were very inspiring!